Long before Apple takes the wraps off a new iPhone, the smartphone goes through months of design work, testing, and production between Apple's headquarters in Cupertino and its manufacturing partners in China. It is during this time that iPhone parts usually begin to leak, despite Apple's best efforts to double down on secrecy. 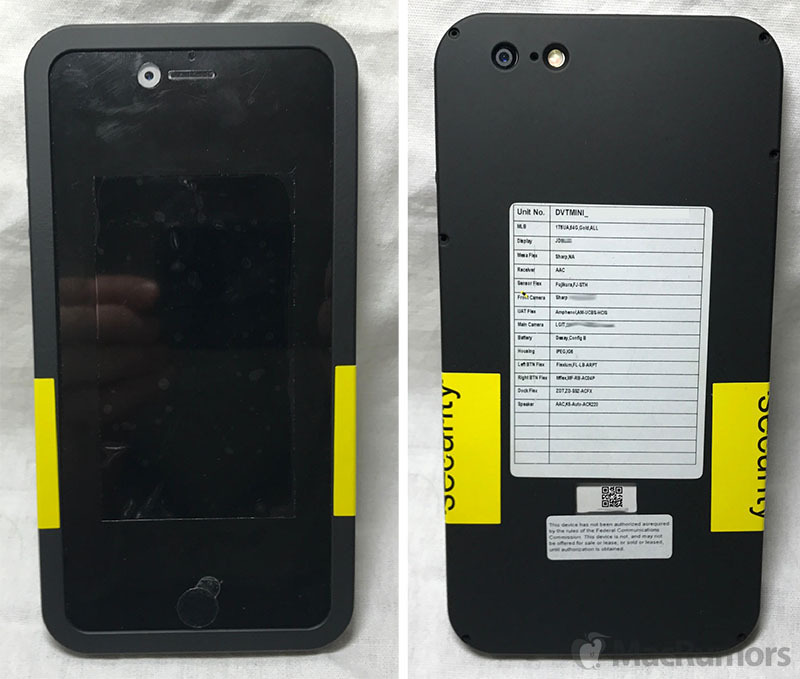 Nevertheless, noted leaker Sonny Dickson has provided MacRumors with a closer look at a few known measures the company takes to hide iPhone prototypes and prevent potential leaks. Foremost, Dickson said an iPhone prototype travels across the world in a "stealth" case designed to prevent onlookers from seeing how it looks. The case conceals most of the iPhone, while it has yellow "security" tape along the sides that would show any tampering by somebody trying to get it open. 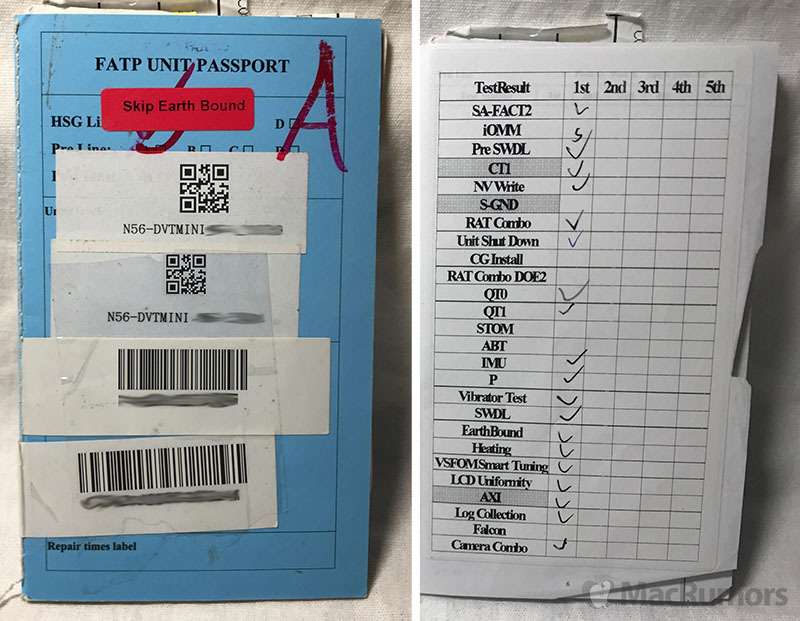 The prototype is accompanied by a "passport" at all times for quality assurance/control testing, according to Dickson. "Each component or product that is tested they document in the page," said Dickson. "The person writes their initials next to it and any notes about it passing or failing or any other comments. It makes its way through each test/person. It then is finally sent with its 'passport' from China to Apple." Now this is a Macrumor worthy article! Really interesting insight! The original version had bright flashing lights and played an auditory message, "WARNING! YOU ARE NEAR A PROTOTYPE DEVICE," but they decided to tone it down. One of the side effects of stealth cases like that is you don't get a real world scenario of how well the antenna works. The iPhone 4 was disguised in a plastic 3GS lookalike case, so the field testers' hands never made contact with the antenna band. When it was finally released to the market, and into the hands of real users, you ended up with the whole "you're holding it wrong" fiasco, and the antenna band had to be redesigned for how people actually hold it. Why does the QR code say “YOU WISH!!!" Apple should announce a brand new phone before there is potential of a leak. Announce now and release 3-6 months later. They would have to substantially reduce the price of the current iPhone to do that. "Stealth" iPhone. Yet in a couple months, we will see and know the design for the 7S model. Same as we have for the past few years. What's the point of the case if their phones look EXACTLY the same? 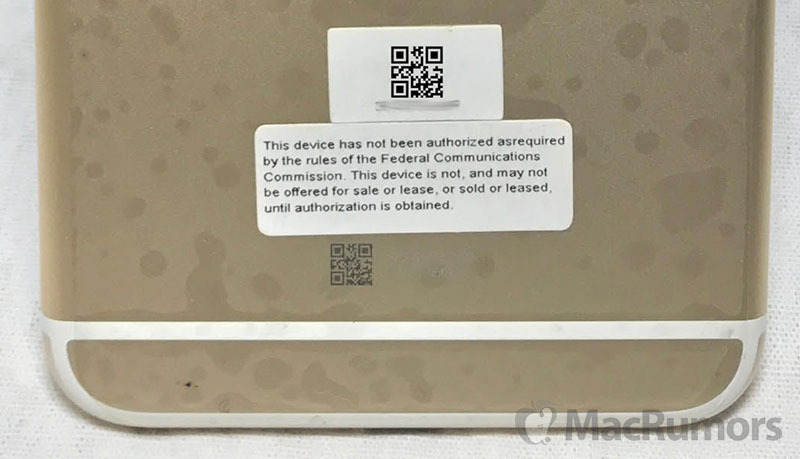 Several posts that had drifted off into a political discussion of US Customs policies regarding unlocking phones at the border have been removed. Please stay on topic. Very cool insight. If I ever see someone carrying a phone in a huge case with yellow tape wrapped around it I'm going to introduce myself.